Viewers and listeners in parts of North East England may lose reception of some TV and radio services this week. Engineering work at the Pontop Pike transmitter site in County Durham is likely to cause a temporary loss of services between Wednesday 9th November and Thursday 10th November 2016. The site is the main transmitter for much of County Durham, Tyne & Wear and parts of Northumberland. Freeview services will be running on reduced power, which may cause spells of poor or no reception, especially for some of the low-powered HD multiplexes, which will be affected between 9am and 5pm. National FM services broadcast from the mast will also be prone to degraded reception between 10am - 4pm, although the timings are weather dependent. 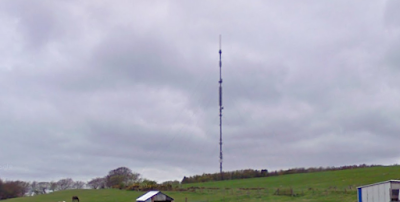 The Pontop Pike transmitter site will be the subject of a considerable amount of engineering work in the coming years, with a temporary mast taking over services as part of the forthcoming reconfiguration of the Freeview digital terrestrial TV network following a decision to clear Freeview frequencies in the 700 MHz band for future mobile internet services from 2020. As a result, the current eight national Freeview multiplexes on UHF channels 33, 34, 49, 50, 54, 55, 58, 59 will ultimately be reduced to six national multiplexes broadcasting on UHF channels 32, 34, 35, 39, 42 and 45. Affected viewers will be provided with more details, including retune dates in due course.